Freightliner Sales and Service | North Little Rock | Doggett "
For your convenience, we have four locations in the state. We’ve been in the industry for over 25 years. Give us a call at (800) 562-8875 for Freightliner sales in North Little Rock, AR. 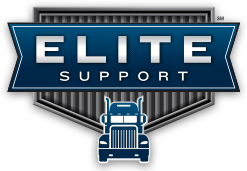 At our Elite Support certified North Little Rockdealership, our goal is to keep our customers’ trucks running down the road because we know uptime equals profits. To do this, we express assess every truck and take enormous pride in ensuring our technicians are the best trained in the industry. We also have over $10 million in parts inventory to keep you moving. Here at Doggett, we are passionate about Freightliner trucks. If you are looking for a new truck that is robust, reliable, and efficient, we can highly recommend Freightliner trucks. There is a reason you see so many of these trucks on the road here in North Little Rock; truckers favor these vehicles because they find them to be very dependable. Freightliner trucks can take you farther on less gas, saving you money in the long run. We have a wide selection of Freightliner trucks available, and we’re sure we can find one to suit your company’s needs and budget. Do you want to be behind the wheel of one of the best Freightliner trucks that money can buy? We at Doggett have a quality selection of brand-new Freightliner trucks. These vehicles will keep you on the road here in North Little Rock with very little problems. We also have a wide range of quality used Freightliner trucks. These trucks have been inspected and maintained by our amazing technicians. When you buy a used truck from us, you’ll find it is almost as good as new, for a fraction of the price! There are plenty of situations where you might need a truck but you don’t want to buy one. If you’re looking to rent a truck for a while in North Little Rock, we at Doggett have a very wide selection available. Our expert mechanics do frequent inspections of all our trucks, and we make sure they’re running at peak performance at all times. If you’re looking to rent a truck in the North Little Rock area, give us a call and we’ll discuss your needs to help you select the best Freightliner truck. From I-40 East or West take exit 161, go south on Arkansas 391 and then east on E Valentine Rd. The dealership is at 11700 E. Valentine Rd.